The following rulebook is a guide document which is valid for all stages of the tournament. ESL reserves the rights to make amendments to the rulebook with or without prior notice to the players. ESL is the decision maker for all cases and disputes which may occur and are not written in this rulebook. ESL reserves the right to make rulings that are not inline with the rules to preserve fair play and tournament integrity. 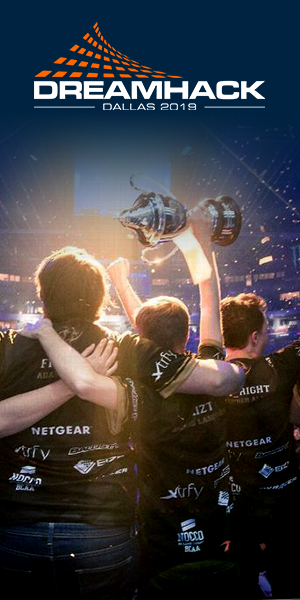 All prize money will be paid out by ESL, at latest 90 days after the tournament final has been completed. If a Player is missing the proper payment information and makes no effort to fix this, the prize money will not be paid out until this is rectified. All players must install the newest version of the game Asphalt 9 in order to participate in the tournament. Updates must be installed before the tournament starts. All online matches will be played on the patch available on the live servers at the time of a match. All offline matches will be played on the tournament server unless otherwise specified by ESL. ESL reserves the right to amend, remove, or otherwise change the rules outlined in this Rulebook, without further notice. ESL also reserves the right to make a judgment on cases that are not explicitly supported, or detailed in this Rulebook, or to make judgments that even go against this Rulebook in extreme cases, to preserve fair play and sportsmanship. The content of protests, support tickets, discussions or any other correspondence with ESL and administrators are deemed strictly confidential. The publication of such material is prohibited without prior written consent from ESL. Player personal data we will collect, processed and stored for the online match participation, organization and prize delivery. The player personal information will be stored according to internal policies or procedures to answer to legal requirements. To play a match, be it online or offline, under the influence of alcohol or other psychoactive drugs, even if not among the punishable substances, is strictly prohibited, and may lead to severe punishment. In order to participate in tournaments, you must meet the following requirements: - All players must hold valid travel documents for travel ready (such as visas if needed) before participating. - All players must be 18 years of age or older. - Upon reaching Phase 3 all players must be registered on the ESL Play platform. - Must not be an employee or under the employ of ESL, Gameloft or other associated parties. - Must not have been an employee or under the employ of ESL, Gameloft or other associated parties in the last 6 months. If you do not meet these requirements you will be deemed ineligible. In case a player which does not fulfill the requirements qualifies through this tournament, the player will lose the right to the qualifier and the next top qualified player will take their place. ESL reserves the right to forbid the use of unwanted names and/or symbols in their competitions. Any legally protected words or symbols are generally forbidden unless the owner gives the permission. No advertisement or promotion of sponsors that are solely or widely known for pornographic, drug use or other adult/mature themes and products is allowed in connection to the league. All players must use their own accounts. Players are not allowed to participate with foreign accounts, nor to encourage other players to do so. Players may not change accounts/account names once they’ve started their participation in the league. ESL may in special cases decide to allow account/name changes. ESL and Gameloft reserve the right to deny the participation of any player for any reason and precaution. Only residents of the Continental United States may compete in ESL Mobile Open. This does not include Hawaii, Puerto Rico, & US Virgin Islands. It is understood that the dates, the format & number of participating players for each phase may be modified. ESL may, at its sole discretion, change the start time of a match. ESL will notify all involved players at the earliest possible convenience. Please resolve any problems that might occur before a match starts. Connection or hardware problems during a match could lead to a disqualification by ESL. The match must be played with the correct settings. Each player has 15 minutes to show up to an online match (match start date +15 minutes). Showing up after 15 minutes will result in a default loss. The player that is waiting must open a protest ticket in order to request the default win. Please keep in mind, if a player did show up in time, but needs to leave to sort an issue, it does not count as a no show if he's not back after match date + 15 minutes. Abuse of this exception will lead to a default loss of the match. Please open a protest ticket if you feel that the player is abusing this rule. ESL shall be performing a live broadcast during the offline event. By competing in the qualifiers all players agree to be recorded as part of the offline broadcast and consent to the perpetual, worldwide, royalty-free use of their name, photo, and/or likeness, biographical information and statements attributed to them by any release for broadcasting, advertising and promotional purposes on any media without compensation. In addition, ESL may choose to broadcast the qualifier matches to which all competing players give their consent by taking part in the qualifier event. Casting an ESL match is only permitted with an ESL agreement. To get an agreement please write a support ticket. Observers organized by admins and people that are given permission by an admin (e.g. shoutcasters or streams) are permitted. Players are responsible for their own technical issues, including hardware, software and/or internet issues. Matches will not be rescheduled because of technical issues. Players are expected to behave at their best at all times. Unfair conduct may include, but is not limited to, hacking, exploiting, ringing and intentional disconnection. Players are expected to showcase good sportsmanship and fair play. ESL maintains the sole judgement for violations of these rules. Players must follow the instructions of the tournament administration at all times. Players are prohibited from using any language that is obscene, abusive, hateful, insulting, threatening, racist, or otherwise offensive or objectionable. Betting during any ESL event (by a player, organization, or on behalf of anyone associated with the organization) is off limits. Those partaking will be disqualified from tournament and will receive a 6 months ban. Account sharing is strictly against the rules and will lead to to an account ban in all stages of the tournament. ESL & Gameloft reserve the right to edit Nicknames and/or URL aliases. Player names that are too similar to that of another player are subject to be changed by ESL or Gameloft. If a player name has been wrongly seized, please file a support ticket with proof of ownership of the name. For all online phases of the competition, all players must play on a mobile device (smartphone or tablet). Emulators or any software that modifies the game to be played via PC or other unauthorized devices are banned. Players caught using such software will face a penalty. For all offline phases of the competition there will be devices provided at the location. The model of the provided devices will be announced some time before the first studio show. All participants must adhere to the decisions and rules of ESL, the tournament organizers, admins, and referees. All decisions are final, except in cases where the option to appeal is clearly stated. Limiting, or attempting to limit, another participant’s connection to the game through a Distributed Denial of Service attack or any other means. Attempting to intentionally alter the results of a match by losing or otherwise trying to affect the results. Using any software or hardware to gain benefits that are otherwise not available in-game. Examples include, but are not limited to: any 3rd party software (unapproved apps that manipulate gameplay), playing on private servers, scripted attacks. ESL & Gameloft reserve the right to disqualify organizations and players. Any player or organization found to be using a known exploit will forfeit their game upon the first occurrence of the exploit. If the player or organization is found to use another known exploit for a second time, and it is determined to have been done on purpose, they will be removed from the event and barred from any future events. In general, a player can receive up to 6 penalty points per match, unless a single violation has a higher punishment. Where a player or organization receives penalty points for multiple violations, the penalty points are added together. By participating in the tournament, players agree to release, indemnify, defend and hold ESL, and Gameloft harmless from any and all claims, injuries, damages, expenses, or losses to person or property and/or liabilities of any nature that in any way may arise from participation in the tournament including without limitation (i) any condition that may cause the tournament to be disrupted or corrupted; (ii) any injuries, losses, or damages of any kind arising in connection from participation in the tournament.